Offered in multiple styles to meet various needs. 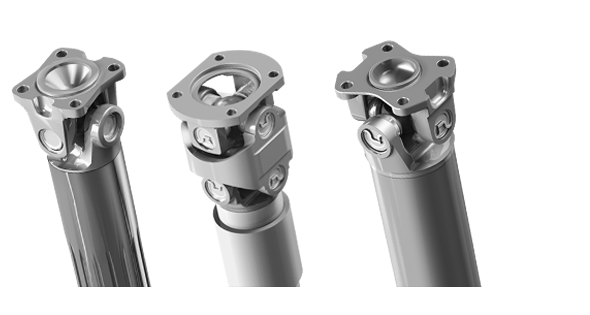 Dana's Spicer® propshafts with cardan universal joints cover the full spectrum of light vehicles, from mini car to cargo vans with 700 - 7000 Nm torque capacities. Cardan joints are typically used with independent and beam axles, and can accommodate high angles and high temperatures. Designed with advanced sealed center bearings, cardan joints allow easier maintenance and reduce drivetrain weight. Aluminum, steel, and additional yoke options are available for further customization.